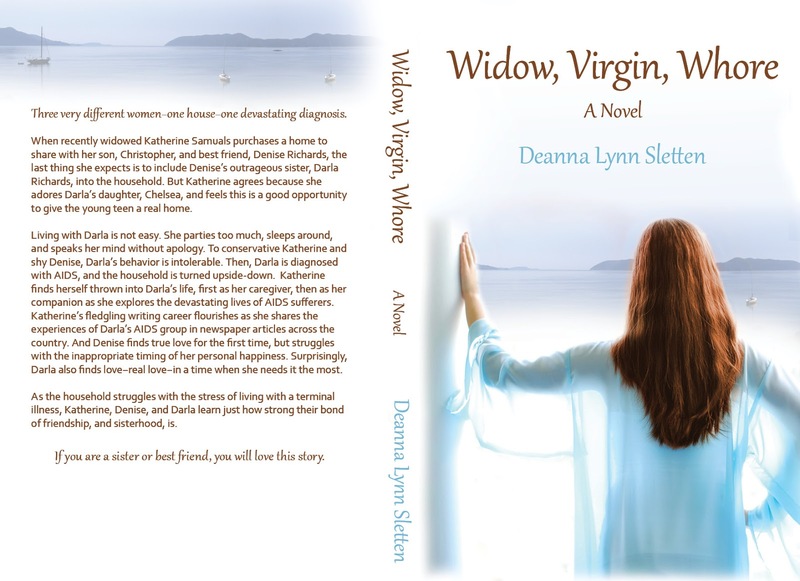 Deanna Lynn Sletten: WIDOW, VIRGIN, WHORE Now in Paperback! I am so happy to announce that my Contemporary Women's Fiction novel WIDOW, VIRGIN, WHORE is now available in paperback on Amazon. This is the first time this title has been available in paperback since the publishing rights were reverted back to me. Yes, you may have seen an older version out there for sale, but I promise you won't want to buy that one. This is the newer, updated version that I have re-edited and given a newer, fresher cover. When recently widowed Katherine Samuals purchases a home to share with her son, Christopher, and best friend, Denise Richards, the last thing she expects is to include Denise's outrageous sister, Darla Richards, into the household. But Katherine agrees because she adores Darla's daughter, Chelsea, and feels this is a good opportunity to give the young teen a real home. Living with Darla is not easy. She parties too much, sleeps around, and speaks her mind without apology. To conservative Katherine and shy Denise, Darla’s behavior is intolerable. Then, Darla is diagnosed with AIDS, and the household is turned upside-down. Katherine finds herself thrown into Darla's life, first as her caregiver, then as her companion as she explores the devastating lives of AIDS sufferers. Katherine's fledgling writing career flourishes as she shares the experiences of Darla's AIDS group in newspaper articles across the country. And Denise finds true love for the first time, but struggles with the inappropriate timing of her personal happiness. Surprisingly, Darla also finds love−real love−in a time when she needs it the most. If you have read any of my other books and haven't yet tried Widow - I hope you will. It is a heartwarming book that will make you cry and laugh.